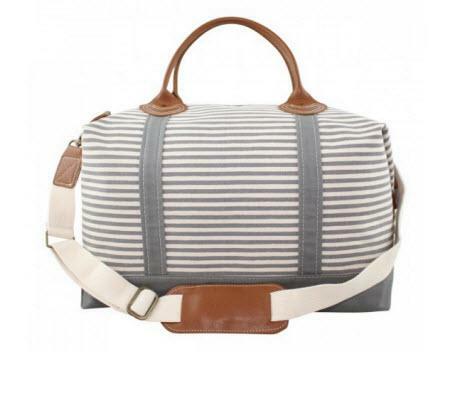 Head off to that weekend getaway carrying everything you need in this monogrammed gray striped weekender bag. 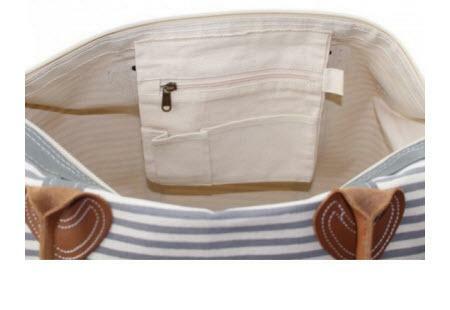 This accommodating bag includes an internal organizer with a large zippered pocket with two open smaller pockets attached. Made with heavy and durable canvas that is designed to hold its shape. 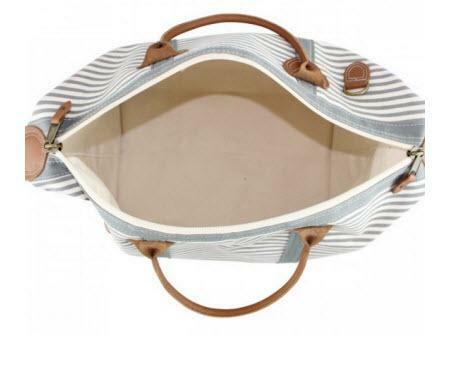 Features two leather handles, zipper top closure and a detachable and adjustable shoulder strap with leather padding. 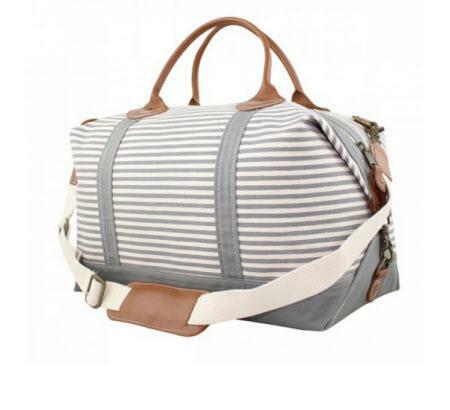 Personalize the weekender with your monogram in your favorite font and thread color! Price: $140.00 In stock! - Browse this brandOur products are custom made to your specifications. This product ships up to 2 weeks after your order is placed. Please choose a font for your personalization. Writing Text like a name or phrase can only be 10 characters. Please choose a thread color for your personalization.